Summer is often said to be the perfect time to try out new trends. For women, it might be going a shade lighter or trying out a bright new lipstick. For men, it might be shaving off the stubble. But trying something new isn’t just for us – it’s for our homes too. Summer is one of the best seasons for experimenting with the latest styles, especially in the kitchen. From colourful flowers to new light fittings, this is a great time of year to give your kitchen a facelift without spending loads on a full refurb! When we think of summer, we think of all the amazing colours that the season brings. From light and sunny shades to cooler, darker hues, adding a splash of colour is a great way to get your kitchen ready for summer. 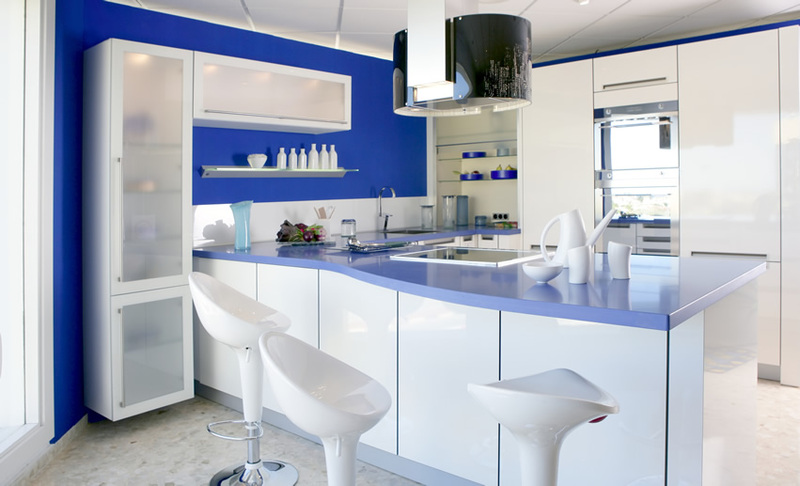 Perhaps best of all, changing up your kitchen colours doesn’t have to be a permanent change. Finding a particular colour scheme doesn’t work for you? A new pot of paint will sort that out! Want to switch things up again for autumn and winter? No problem! Flowery colours like yellows, oranges, pinks, and peaches can all work wonderfully in the kitchen, helping to brighten your space and instill feelings of the warm summer. 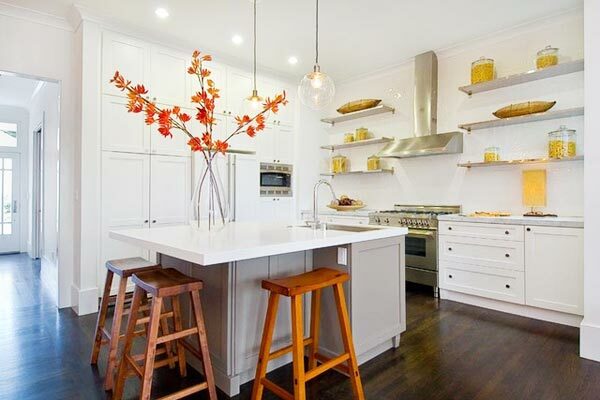 While you can opt for something quite dramatic – like repainting your cabinets – there are plenty of more temporary options to give your kitchen a quick and simple summer makeover. How about hanging some flowery paintings, repainting your dining chairs in bold and vibrant shades, or arranging a big bowl of summer fruits as your centrepiece? Summer isn’t just about the sun. In fact, on a red hot day (as much as we may love to complain about the British weather, we do tend to get a fair few hot days during the summer), there’s nothing more inviting than a cool kitchen, decorated with blues, greens, and even neutral greys. Again, hanging up paintings and repainting dining chairs works well, but now’s a great time to get creative. How about painting mason jars in cool blue to store your accessories, or filling the fruit bowl with red grapes and blueberries? Style Tip: The summer is the perfect time to maximise your outdoor space. Even if you don’t have a garden, giving your balcony, windowsills, or porch a summer makeover can really help to make your home feel much more summery. You could also bring the beauty of the outdoors inside by placing some potted plants and flowers around your home, or installing lantern-style light fittings.